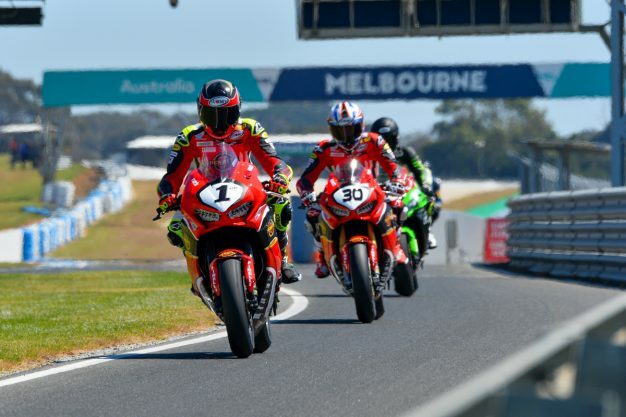 The 2019 season is already upon us and last weekend’s official Australian Superbike Championship (ASBK) test at Phillip Island confirmed we’re in for an intriguing year ahead. 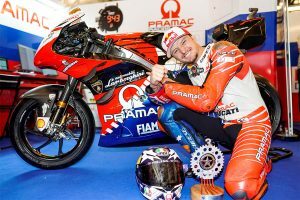 A number of talking points emerged from the two days of testing, prompting CycleOnline.com.au to narrow down the Top 10. Entering Phillip Island aboard a new bike and surroundings, and the fact he underwent surgery to repair a broken collarbone over one week prior, we definitely weren’t expecting Wayne Maxwell (Team Suzuki Ecstar) to be the outright fastest rider. However, he defied the odds and did exactly that, topping the timesheets on Saturday before bettering his lap on Sunday to 1m32.312s, granting him P1 for the second day running. 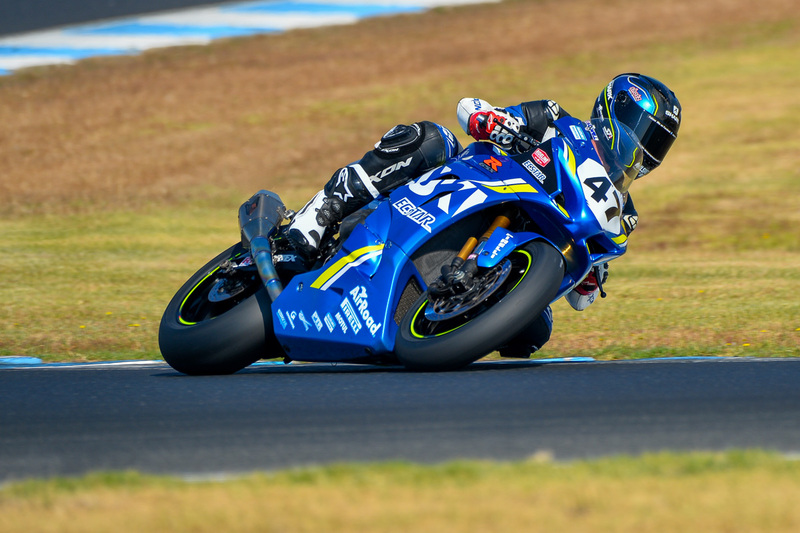 Returning to the ASBK after some time on the sidelines, former international Aiden Wagner (Yamaha) stunned the premier class when he wound up inside the top five on both days. He was particularly impressive on Sunday, setting a blistering 1m32.451s lap in the final session of the weekend. It’s a promising start for the talented Queenslander! Finishing runner-up in the title race last season, Tom Toparis was always going to be the favourite this year, and he only strengthened that at Phillip Island. Making a switch to the Yamaha YZF-R6, Toparis was almost two seconds faster than his nearest competitor after laying down a 1m35.295s heater. Embarking on his second-consecutive ASBK season since coming out of retirement and on the cusp of a milestone 50th birthday, Troy Bayliss (DesmoSport Ducati) showed no signs of slowing day at the Island. 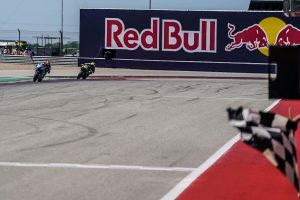 The three-time Superbike world champion was inside the top three during both days of the official test, winding up third with a quick-time of 1m32.631s. Starring inside the top 10, former Australian Superbike champion Mike Jones piloted a Kawasaki ZX-10RR to a 1m33.786s time. After racing internationally for the past two seasons, it was a surprise to see the Queenslander out on track and coming to terms with the motorcycle, creeping into 10th position with a fast-lap in the final session. He’ll be lining up for the season-opener, although his plans beyond that are not yet confirmed. Phillip Island proved be the first offical outing for many riders and teams, as it was for the new-look Maxima BMW squad operated by Next Gen Motorsports. Not only is the team sporting a new name this year, but also a new tyre supplier in Dunlop. Glenn Allerton and Ted Collins took the track aboard the new rubber officially for the first time, finishing up ninth and 15th respectively. Donning the number one plate aboard his Penrite Honda Racing CBR1000RR SP, reigning champion Troy Herfoss was unable to squeeze into the top five on either day of testing, ultimately winding up sixth on the timesheets. Never fear though, as the times were incredibly tight over the weekend, and Herfoss was just a fraction of pace-setter Maxwell. Stepping back to Supersport in 2018 did wonders for Cru Halliday as he eventually wrapped up the crown, although this year sees him return to the premier class with Yamaha Racing Team. Just his second time back on the YZF-R1, Halliday progressed in every session, setting a new personal best lap-time of 1m33.211s in the final outing of the test. Son of three-time Superbike world champion Troy Bayliss, all eyes are on Oli Bayliss as he makes his much anticipated transition to the Supersport division – and he didn’t disappoint last weekend. Piloting a Cube Racing prepared Yamaha YZF-R6, Bayliss completed testing third on the results sheets, marking a positive start to his career in the division. A new initiative introduced last year by Motorcycling Australia finally came to fruition at the Island, as the maiden crop of Oceania Junior Cup riders took to the track for the very first time. 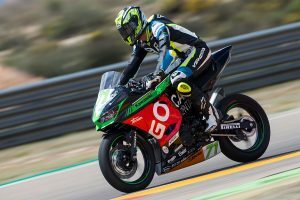 The development series is designed to groom the next generation of MotoGP and WorldSBK talents, and Saturday and Sunday’s track time marked the very the start of it.